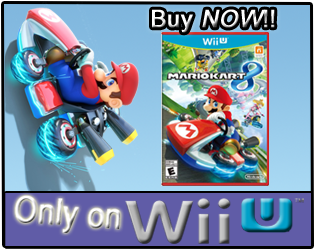 Coffee With Games: Christmas, New Super Mario Bros. Wii, Nintendo's Tickle Me Elmo/Furby for 2009. Christmas, New Super Mario Bros. Wii, Nintendo's Tickle Me Elmo/Furby for 2009. My wife and I celebrated Christmas today with our families, and this was our son's first Christmas. We've had an enjoyable, but extremely busy, day. I know many of you that read my blog probably had video games on your Christmas list. 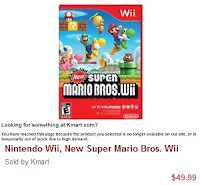 I don't know if any of you had New Super Mario Bros. Wii on your Christmas list, but if you did, I would like to know if you actually received the game, or did "Santa Clause" have trouble with supply from his shop this year and not deliver it? I know most of the websites and stores starting in December had trouble keeping the game in stock, I think making it 2009's video game Tickle Me Elmo or Furby. 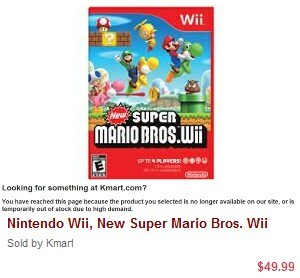 Even Amazon.com now says that New Super Mario Bros. Wii won't be back in stock until January 1. Did you receive any games for Christmas, or even a Nintendo Wii Points Card, PSN Card or Xbox Live Arcade Card and purchase any games? Even if you didn't receive what you wanted for Christmas, I hope you had a great day and were able to enjoy it with friends and/or family. I received a 2000 wii points card and a classic controller. I surfed through the games and bought Star Fox 64 and Donkey Kong Country 3. I never beat SF64 and only did a few levels of DKC3 growing up. Now's the time to finish those games! Did you get any games Coffeewithgames? I didn't receive any games, but I did get gift cards and I'll be opening a "renters" account at a local gaming store, called GamerDoc, after the first of the year. I got Muramasa: The Demon Blade and Klonoa. I've already beat Klonoa (it's a combination of the game being on the short side and it being so freaking fun that I couldn't put it down). I've yet to start Muramasa, but I'd really recommend Klonoa (plus its MSRP is $20 cheaper than normal Wii games). Also, I'm glad I got New Super Mario Bros. Wii on day one rather than wait for Christmas. Ah Kyle can I borrow it? j/k I have a $25 e-card to newegg that I'm thinking may go toward that game. My mother-in-law got me NSMBW for Christmas. I think she ordered off Amazon. Oh, picked up PSN and Wii points too (I missed the 2nd question.) I haven't decided what to do with 'em yet. 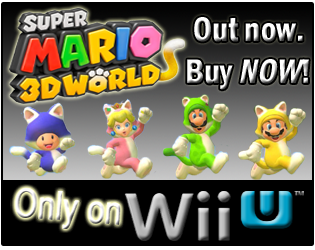 Congrats on NSMBW, and I hope you get some good games you enjoy with the PSN and Wii Points card.